If you’re just doing a bit of work on the side, a recently appointed Company Director or just renting out a property for the first time, these are some of the most common reasons why you will need to submit an annual tax return. In most cases freelancing on the side is an increasingly popular way of supplementing your income. However, many choose to keep this under wraps from their employer. While you may not want your boss to know about your other work, you cannot hide it from the taxman; you will need to register as self-employed. You will need to complete a Self-Assessment so that the taxman knows exactly how much extra income you have earned, and how much tax you will need to pay on top of your monthly PAYE tax. Hopefully, those who started contracting, freelancing or became self-employed before the beginning of the last tax year (6th April 2018) will already be up to speed for the looming Self-Assessment deadline on 31st January 2019. HMRC has improved its online Portal to enable you to easily fill in the forms online with resourceful guidance. Its always recommended to seek professional advice as although you might be doing the return correctly professional advice might also be able to ensure they are done correctly as well as ensure you are planning to effectively manage your tax liability. For those who are new to the game, here’s the important information you’ll need to prepare for next year. Its always recommended you speak to your accountant. After you’ve registered, HMRC will send you a Unique Taxpayer Reference (UTR) number in the post. You use your UTR to register for HMRC Online Services. HMRC will then send you a PIN number in the post to access Online Services where you can file your Self-Assessment. This arduous process should become simpler when HMRC rolls out online tax services, but for now, you are reliant on Royal Mail and HMRC to get registered. Once you’re registered, you won’t need to re-register in the future. You’ll get a yearly reminder to file your Self-Assessment until you tell HMRC that you no longer need to file, perhaps because you’re returning to full-time employment or moved abroad, for example. If you’re ever in doubt of what you need to keep a record of, it’s better to be safe and speak to an Accountant before it’s too late. There are plenty of online software that can assist you and as its recommended setting up the systems at an early stage as if the new MTD (Making Tax Digital) regulations apply then it will be compulsory. If not, you need to at least start with a basic excel sheet to start recording your transactions digitally. Don’t forget that if you had any business expenses these can be offset against your income from self-employment, reducing your tax bill. We’ve got all the information you need on claiming business expenses, either as a sole trader or through a limited company. It’s important that you also keep record of all business expenditure, these are allowable expenses before you start paying tax on your income. Holding on to those receipt can be difficult. Specially the travel cards, travel meals and Stationary while you are on the move. Online accounting software helps streamline this process by using your mobile phone to capture and store receipts. If not, I ask my clients to at least have a box in your office to start collecting them. Without a receipt or an invoice, you have nothing to claim. Income tax is calculated on profits, so you’ll have to pay for any earnings that exceed the personal allowance on your total income. If you’re working on the side or in multiple jobs, then HMRC will want to know your income from self-employment profits – the amount left over after all business expenses have been deducted from your self-employment income. Remember, your self-employment profits could push your total earnings into a higher tax band, which means you’ll have to pay more tax. If you’re an employee then the amount of tax you pay on your income through employment will be worked out by your employer through their PAYE system, so you only have to worry about paying the remaining tax owed through your self-employment profits or any other untaxed income you may receive, such as income from property or investments. It sounds complicated, and it can be, but HMRC will lend a hand with some of the calculations. You simply enter the amount you were paid in the tax year, which you can find on your P60, as well as the amount you’ve earned through your self-employed work, and HMRC will tell you how much you owe. But wait, what about National Insurance? It’s never that simple. While the National Insurance you pay on any income from employment is taken care of in your PAYE calculations by your employer, if you’re self-employed (or both employed and self-employed) then you’ll have to pay self-employed National Insurance on your self-employed profits. The amounts will be calculated by HMRC through your Self Assessment and must be paid by 31st January each year. How much should I put aside for my Self Assessment tax bill? As a sole trader, it’s good practice to save around 30% of all of your self-employed earnings each month. You may need to put aside more if your profits are really high (say above £60,000). If you set up your business as a limited company then you may find you could pay less in tax. Here’s some information on whether being a sole trader or a limited company is the best option for you. You may not actually have to pay 30% of your self-employed income, but it’s a good benchmark to ensure you’re covered when it comes to paying the tax you owe. We’ve seen far too many people find themselves in trouble when they don’t have enough cash to pay their tax bill. One last thing to remember is that as well as paying your tax from the previous tax year you’ll also need to pay half of your expected tax bill for the next tax year. You’ll then also need to make another payment on account on 31st July. You can find out more in our article “What is a payment on account and do I have to pay it?”. How do I fill out my tax return? Now comes the fun part. You’ve registered with HMRC, you’ve got all your logins and passwords, and you know roughly how much tax you owe and you’ve got enough cash to cover it. The exact amount you will have to pay on your profits from self-employment will be worked out using an annual Self Assessment tax return, which can be filled out online at Gov.uk. 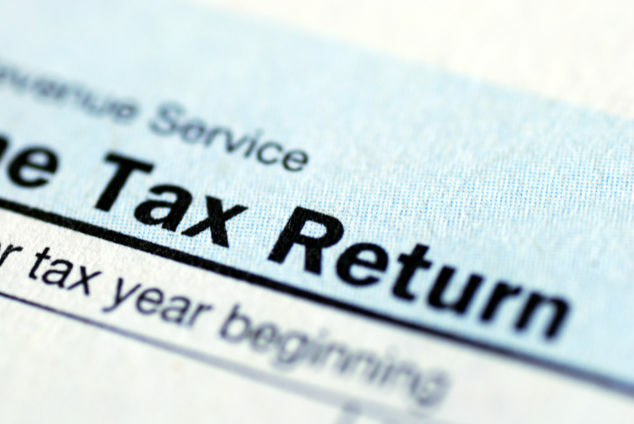 We would always recommend filing your tax return as early as possible. This can be done any time after the start of the new tax year, so long as you’ve registered and received your UTR unique code and log in details from HMRC. Leaving it to the last minute could result in a stressful festive season and filing late will incur fines. Once you’ve logged into the system, the process is not actually that daunting – so long as you’ve kept accurate records, which include all sales invoices and expense receipts. Essentially, you’re just filling out a form and the system does the calculations for you. After you’ve double checked that all the information you’ve entered is correct, press submit and breathe. HMRC will tell you how much tax you owe, and you then hand over the cash, usually via bank transfer. At Outsourced we include unlimited guidance throughout the year as part of our package for our personal tax return clients. Clients appreciate that they have someone on the other end of the phone to answer all those daunting questions. We are always free to help our clients.